This product has a 3 year shelf life from date of manufacture. Ionic Silver is one of the most common forms of silver liquid found in the supplement industry today. Many are made by diluting chemical forms of silver, like silver nitrate, to a desired parts per million (ppm), which is then bottled and sold to the public. Although ionic silver products have the smallest particle size, they are often the least stable and can easily fall out of solution. 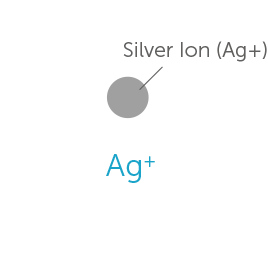 Additionally, ionic forms of silver only have one mode of action. 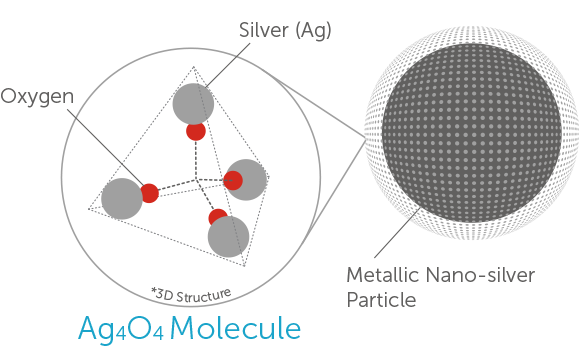 Once each silver ion steals its missing electron, it becomes neutral and is no longer useful. Lastly, ionic forms of silver are metabolized, and as a result, can bind up in the body. Over extended periods of time this build up could cause a skin condition known as Argyria, otherwise known as the blue man's syndrome. 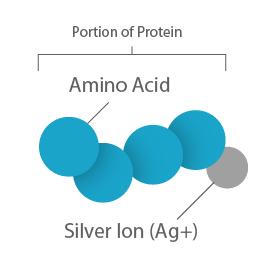 Mild silver proteins are simply another form of ionic silver. The only difference being that because ionic forms of silver are not generally stable and because they contain unusually large amounts of silver, they are sometimes bound to a protein. The idea behind binding the ionic silver to the protein is to help make the product more stable than traditional forms of ionic silver, as well as, hopefully making the ionic solution more bioavailable. However, as a result of this binding with protein, the silver ion is less functional and useful than traditional ionic silver ions. Consequently, higher levels of silver (ppm) are needed to obtain the desired effect. Outstanding product, will order again! My family relies on it. Delivered timely. I was amazed at how quickly I got it. I’ve been using silver solution every day for five years. I have no more outbreaks from herpes, I have had no cold or the flu, I use it in the water in my CPAP machine so that there will never be a fungus growing. I do a lot of international travel and I always have my Silver Solution with me on the plane. Thank you Silver Solution USA. What an amazing product. Love all the Silver Solution products! Haven’t been sick in years...if I feel like I may be coming down with something, I’ll drink the whole bottle in a day...it works great! Also, spray it in my water, my pets water too. This stuff works both internally and externally. Sores seem to fade away and heal at a faster rate. I applied it to my son's foot and the issue is almost gone. It's been only a week. Love this stuff!! Can't be without it. Helps with everything I use if for. Haven't had a cold or flu for 5 years (without flu shots!). Great to keep sinuses clear. Not sure if it's doing what the reviews say but I do honestly believe that I do really feel better with it than without it, so I keep it in stock in my household. This product used 3x's a day has helped me prevent infections. The BEST Silver On The Market! I have tried many brands of colloidal silver, and have never found this product quality, speed of delivery, and customer service anywhere. My nutritionist recommend this product. She specifically recommend your company too! Stated it was pure, priced right and extremely helpful for riding my body of bacteria, when used daily or twice daily and had no side effects that were harmful. This is my 3rd month on this regimen. I go for a follow up visit at 4 months. I've had fibromyalgia and neuropathy for more than ten years, and the pain kept me from doing anything much at all. I was actually for the most part bedridden for the last few years. I tried the silver solution, and the results have been dramatic! Within three days, I was able to get up, cook dinner, clean my house, and I was able to start walking in the morning with a friend, and now I'm up to 2 1/4 miles a day! This product has absolutely changed my life!